It’s that apple-picking time of year. Time to master the art of plucking that perfect apple from the top of the tree. Actually, it’s not much of an art, more of a case of using the right tools. To start with we reach up to the lower branches to get the fruit, straining ever higher to grab the better looking fruit, but then we remember what makes it easier and grab a pole-picker (that’s what I call it, I’m not sure if that’s correct). We all grab one and start to hook the apples off. 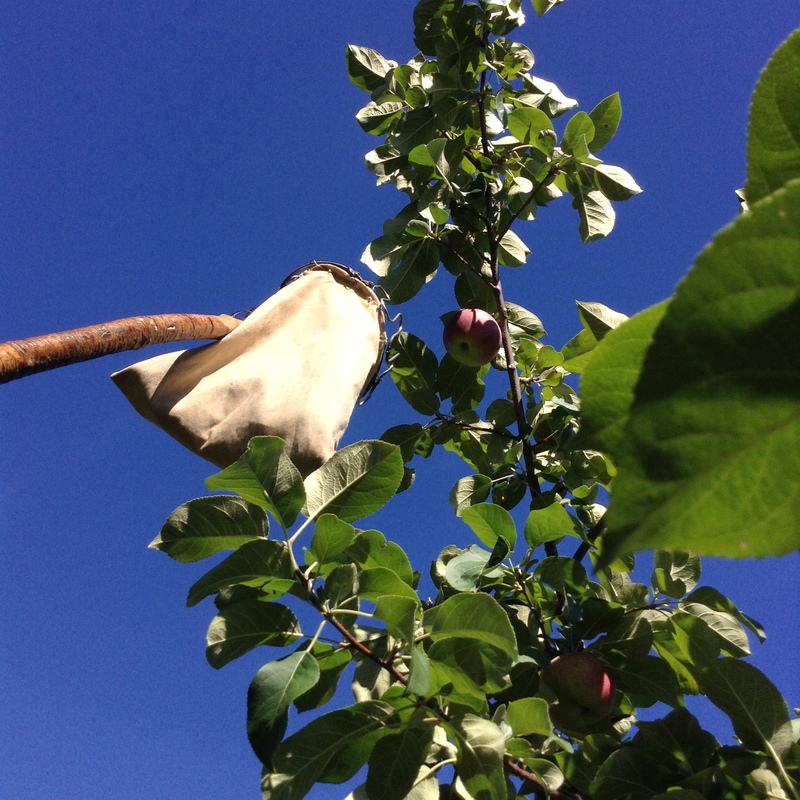 Quite a few end up on the ground rather than in the little sack on the top of the pole, but we comfort ourselves that the farmer will use those ones to make cider. It takes no time before we hook enough apples to fill a couple of bags and off we go. For the next few months I have the opportunity to work quite a few more hours than I usually do. It’s a blessing, but a challenge at the same time. All my plans of things to do in the months before Christmas became a jumble of panic in my mind once I knew. It seems that if I have a stretch of time when I think, ‘Now I can get to…’ it gets filled up with something else unexpected. I’ve felt overstretched, annoyed, and depressed so that after supper most nights all I can cope with is falling asleep in front of Netflix, when there’s so much more I want to do. It’s not a bad thing to come to the end of yourself and admit that you can’t do everything. It makes you reach for the pole-picker for that particular situation. The thing that makes the jobs easier. Sometimes that can even be other family members pulling their weight with the household chores! Coming to the end of your own strength, also can drive you to seek God’s strength and direction. With less time to spare I need to not cut out time with him. He uses the overstretched times to draw us closer to him. I haven’t got all the answers yet, but I kind of get the feeling that he’s laughing and saying, ‘Finally you asked!’ I’m confident as well that he will not only guide me in those things, but give me the pole-picker for the job and even pick me up on his shoulders to reach even higher. Thank you for that timely reminder Emma. It is all too easy to cut out the wrong things when we are busy.